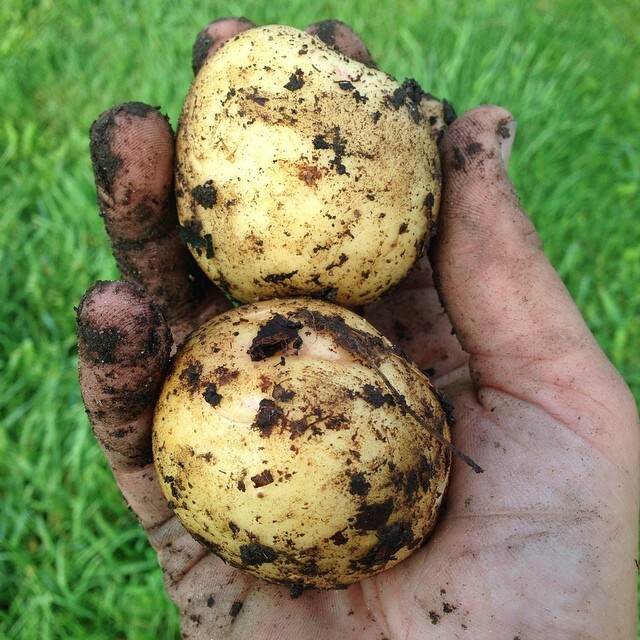 Better Farm utilizes a no-till, no-chemical fertilizers or pesticides, 100-percent organic, mulch-gardening system. Mulch gardening is a layering method that mimics a forest floor and combines soil improvement, weed removal, and long-term mulching in one fell swoop. Also called lasagna gardening or sheet mulching, this process can turn hard-to-love soil rich and healthy by improving nutrient and water retention in the dirt, encouraging favorable soil microbial activity and worms, suppressing weed growth, and improving the well-being of plants (all while reducing maintenance!). We have a one-acre plot of land sectioned into rows, with a mandala garden in the back corner. Mandala gardens are circular gardens used in Permaculture because of their aesthetics and practicality. Mandalas are divided by walk-through paths and keyholes that create grow beds that maximize space while providing a beautiful layout you can't achieve with boring old rows. Herb beds run along the south-facing wall of Better Farm's main house. Here we have used Hügelkultur methods, a composting process in which raised beds are built over decaying wood debris such as rotten logs. As the wood decomposes, it feeds the plants so no further fertilizers are necessary. Inside, we have an aquaponics tank and hydroponics tank. In the aquaponics setup, a collection of koi, minnows and goldfish fertilize a grow bed chock-full of fresh salad greens. The hydroponics tank has water we manually nourish with organic fertilizers to feed the plants. Better Farm offers a Community-Supported Agriculture (CSA) program from April through November. To learn more and sign up, click here or email info@betterfarm.org.